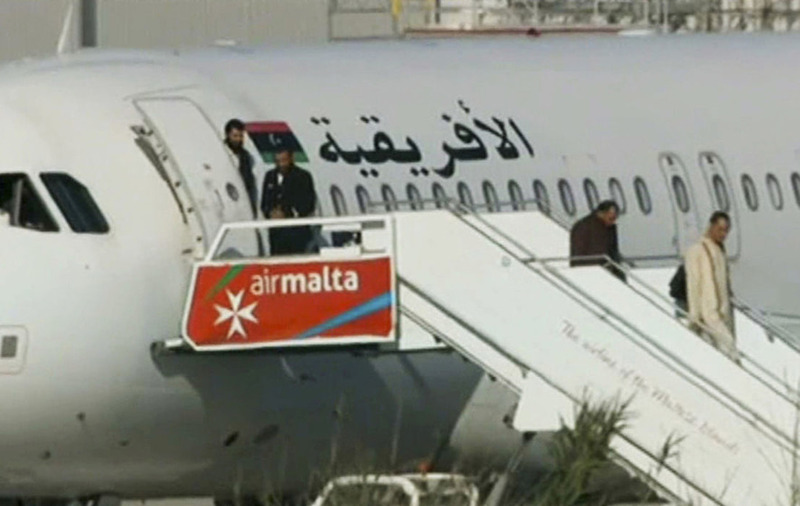 An official from Afriqiyah Airways said the two hijackers had expressed a willingness to release the passengers but that they will keep the pilot. The Afriqiyah Airways Airbus A320 flight was scheduled to travel from Tamhent airport in the Libyan town of Sabha for the capital Tripoli. Airport officials said there are 118 passengers on board. Maltese state television TVM said the two hijackers possess hand grenades and have threatened to detonate them. Serraj al-Fitouri also told Dubai-based Al-Arabiya TV that one Libyan politician is among the list of passengers. It is unclear whether the man, identified as Abdel-Salam al-Marabet, had actually been on the flight.